I hope you are doing well! Spring is definitely in the air here in Romania as the trees are budding and the temperature is getting warmer. I hope you are having a very blessed Easter weekend with your family! Christ has risen and He lives forevermore!! Hallelujah! 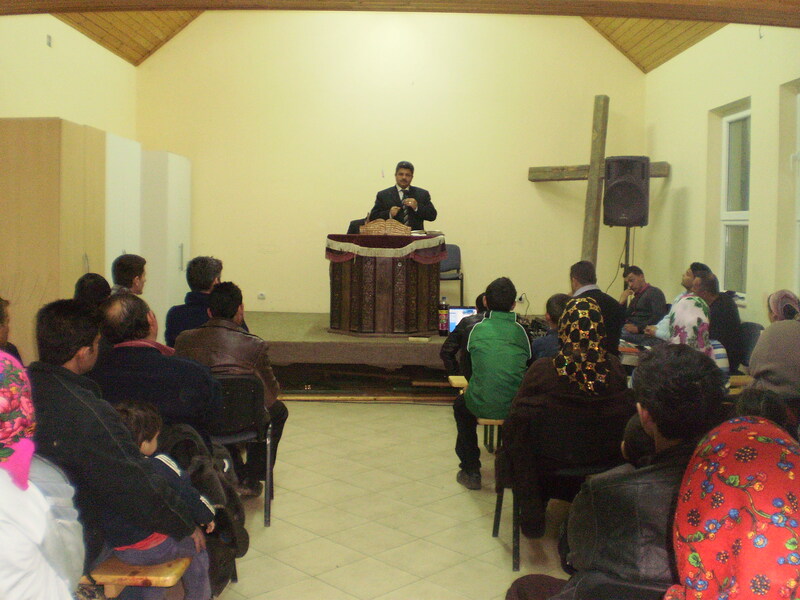 The third evangelism outreach service with Pastor Ghita from the Tinca gypsy village. had an event like this in the village or at least since I started working there! It was an amazing three day event! It was held from Saturday March 10th to Monday March 12thand it was in the evenings from 7:00 – 9:00pm. God just totally blew me away how He arranged the whole evangelism outreach event because it was very evident of how the Lord put everything together of all the guest speakers and musicians that we had. The first day we had a Pastor from a gypsy village near the city of Arad, he brought three other people with him to sing songs and he preached a powerful salvation message in both the Romanian and gypsy language. The second day Steve (he’s a missionary serving with us here) preached and Dan translated for him. We also had special guests from another gypsy village that shared testimonies and sung some songs. On the third day Pastor Ghita from the Tinca gypsy village preached another great message on salvation and he also brought some other guests that sung some songs. at the church. One of the services I had counted there were around 80 people that attended with the majority being adults and some children as well! It was so great to see not only the women come out but also the men too! I praise God and rejoice that around 20 people (including children) made new decisions to accept and surrender their lives to Christ! On Sunday evening God gave me the joy to lead Maria (she’s 7 years old) in the sinners prayer to accept Christ into her heart. After we prayed together I gave her a big hug and told her that Jesus loves her very much! been able to attend the church services that we have in the village on Sunday afternoons. It has really been such a blessing from God to get to know the Christians more that live in the village! The small group of Christians that live in Sabolciu are very dedicated and committed to God. One of my favorite parts of the service is the prayer time because there is always such a sweet presence of God in the room. When they pray, you can just hear their passionate hearts for God and they are filled with so much hunger and gratitude for God. I praise God for what He is doing and I’m very excited to see what He will continue to do there in the future! At the end of September the Lord led me to an international church. I went to their all night prayer meeting then and just kept going back because God is definitely doing something in this church! I am so grateful for God leading me to this church because I don’t think I have ever grew in my relationship with Christ as fast as I have been growing within the last six months! God has been teaching me so much about prayer and I have noticed a huge difference in my personal prayer life especially with praying scripture and praying with authority. Recently I started to serve in my church where I have joined the prayer intercessory team. I am so grateful for the blessing I had to be able to go to the workers training retreat which was from March 23rd – 24th and I am now currently taking the workers training course. 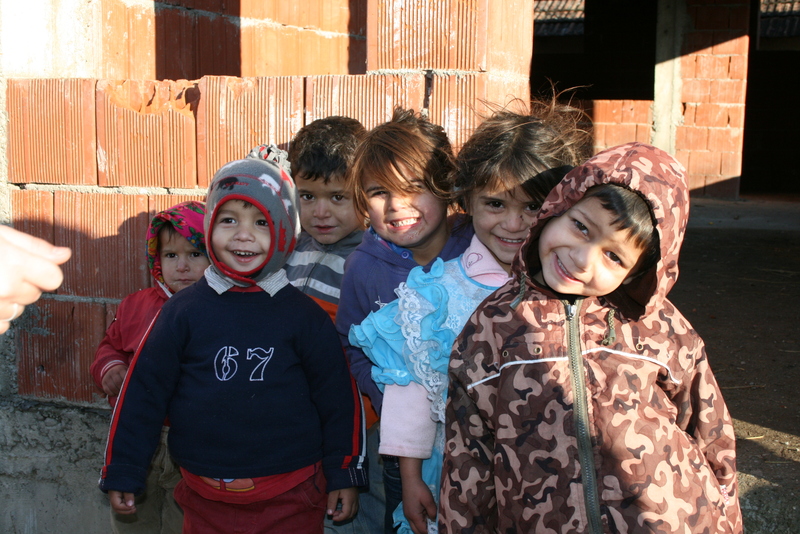 Six young children at Sabolciu. I praise God for the awesome things He did throughout the evangelism outreach in Sabolciu! I praise God for planting me in a church where it feels like a family and I’m growing so much! I praise God for the English Bible study group that I have been involved with since November! I praise God for opening up an opportunity for me to take a Romanian course for FREE! 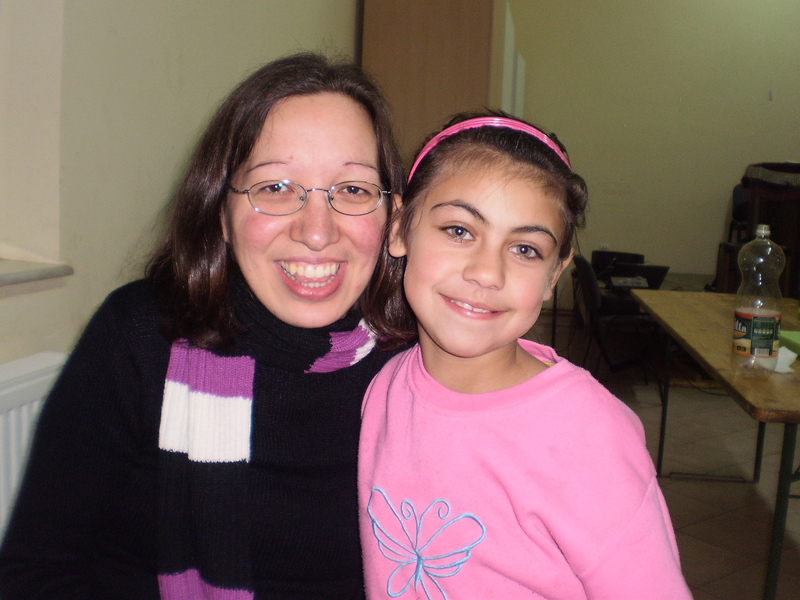 For the Lord to continue to work in the hearts of each of the orphan and gypsy children. For the Lord to continue to expand and bring more spiritual fruit to the church in Săbolciu. For my Romanian language learning that I would be more confident and diligent to study it. For God to continue to place His hands of favour upon the process with Pathway to Joy Canada. I would like to thank-you from the bottom of my heart from your continuous support, encouragement and prayers as I serve the Lord here in Romania. It means so much to me and such a blessing from God!